Jaime Kesler and her son, Mason. Photo provided. With the exception of a 3 1/2-year stint in Texas, Jaime Kesler has lived in the Champaign-Urbana area her entire life. A Mahomet resident, she has been a nurse practitioner since 2009 and has worked in neurosurgery locally and in Dallas. She has also worked retail health and vascular surgery. Kesler since 2016 has been a nurse practitioner at Hada Cosmetic Medicine. 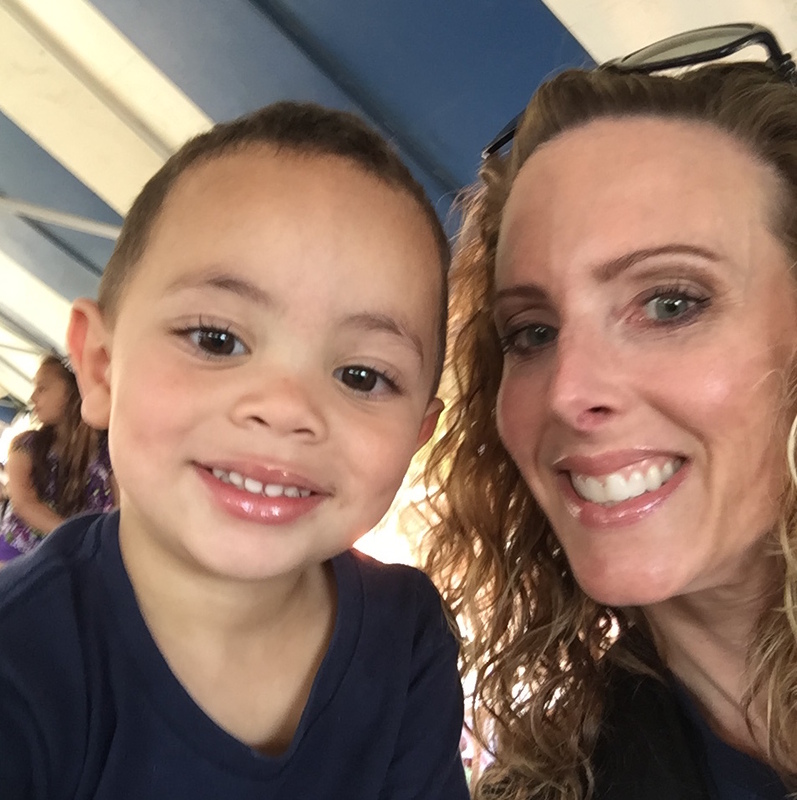 She has a 3 1/2-year-old son, Mason, who is her “entire world,” and she loves to spend time with her son running the bike trail in Mahomet. My mom is a nurse practitioner, so it’s something that I have been around my entire life. Nursing has so many options depending on the patient population you like to serve. For me, emergency medicine was my calling. I loved the fast-paced environment and helping people with a variety of complaints and illnesses. Q: How would you describe your approach to medicine? Medicine has changed a lot over 18 years. Patients are really starting to play an active role in their health care and researching different treatment options, including alternative therapy. Medicine is a team approach, especially having worked in surgical specialties. Even now, in cosmetic medicine, the team may be smaller but it always consists of my patient. Formulating a treatment plan, even in cosmetic medicine, includes input from your patient to determine their best course of action. I really enjoy getting to know my patients. I have met some really great people. Also, I like making people feel better. That may be with a treatment that I can perform, or positive reassurance that may be needed that day. Q: Do you have any advice for women who are interested in cosmetic medical treatments, but have been apprehensive about exploring it? EXPLORE IT! We offer complimentary consultations and have so many services to offer men and women ranging from facials to injectables. Get an idea of treatments that are available to address your concerns. If there is nothing that interests you, then at least you know. Q: What excites you about Hada’s new location, especially as it relates to patients? Our new location is beautiful and we have so much space, it helps to maintain privacy for our patients. Plus, there is a gym that offers yoga and other classes as well as personal training and Peloton bikes. The entire building really encompasses wellness. Q: It’s a summer weekend in Champaign-Urbana: What are you doing for fun with your son? This year we have been to the Urbana pool a few times and love it. We are always up for a park. Hessel is my son’s favorite, followed by YoYo’s (frozen yogurt) in Mahomet. Q: What have you learned about yourself since you became a parent? I have learned more about myself than I care to know, lol. One thing is for sure, I struggle with patience, so I have been working on that for the past 3 1/2 years. I am also a very task-driven individual so I have learned to appreciate being present, and the daily tasks can wait. I am a pretty private person and like spending time at home. On the weekends, you will find me with no makeup on, hair up, in gym clothes to run errands.